AJ watches far too much sport. When he's not watching it, he's reading about it. When he's not reading about it, he's writing about it and when he's not writing about it, he's talking about it on the podcast ‘A Sporting Discussion’. 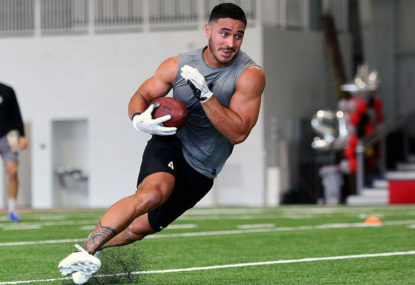 Rugby league has AJ's heart, but he loves to give space to the sports that the mainstream forgets - he’ll never rest until Australian baseball gets the coverage it deserves! He’s always game for a debate in the comments section or on twitter @AJMithen - but you’d best come prepared! 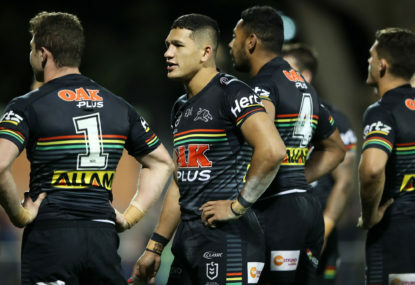 On Easter Monday, we get our first look at the new Western Sydney Stadium – sorry, ‘Bankwest’ Stadium – when Parramatta and the Wests Tigers play out a Round 6 game. It’s a brutal game, rugby league. A grinder that works away at the bodies of those who play, no matter what standard and no matter what grade. 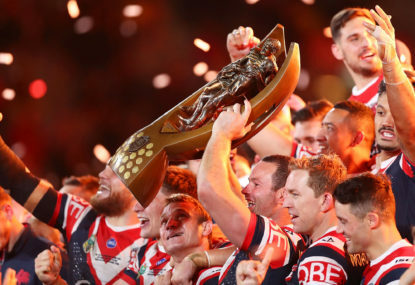 The Sydney Cricket Ground hosts the first game of NRL Round 4 when the Sydney Roosters welcome the Brisbane Broncos. 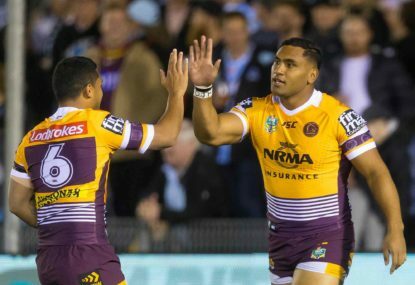 Round 3 NRL kicks off with a desperate St George Illawarra heading north to Suncorp Stadium for a Thursday night battle with the Brisbane Broncos. Jokey tweets or strategic direction: What do you want from your ARLC chair? Australia has a long and comically bad list of political figures mixing with sport. League fans have never wanted a season to kickoff more than this year. How good is it to get real, meaningful games back? 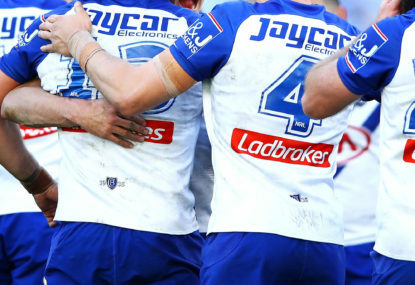 Everyone knows about the superstar players of the NRL. They get all the news headlines, the TV interviews and their faces on the membership card. But there are a lot more champion players whose efforts on the field are just as important but often go unnoticed. It’s a gimmick that rewards mediocrity! A shameless money grab! 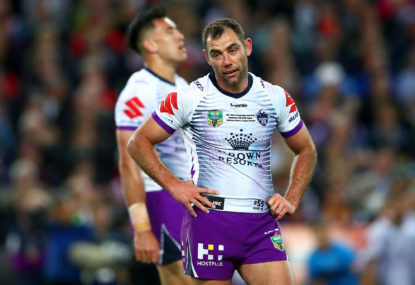 The worst idea the NRL has ever had! 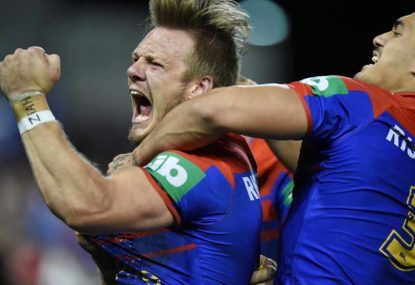 Do NRL redemption stories push a false narrative? 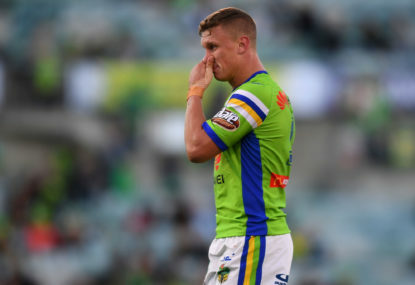 They’re a staple of rugby league coverage in Australia, but does an endless stream of redemption tales inadvertently reinforce the game’s worst stereotypes? As I said yesterday, the new NRL season can’t get here fast enough. 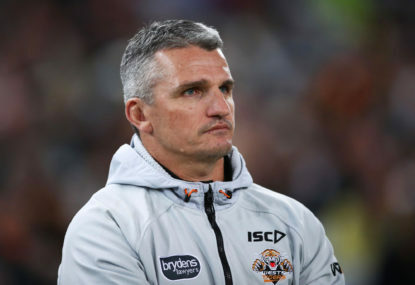 No point beating around the bush – it’s tough to charge forward buzzing with positivity for my first NRL 2019 outing on The Roar. Oh, how we were ready to rant. As season 2018 disappears further into the rearview it’s time to look ahead. 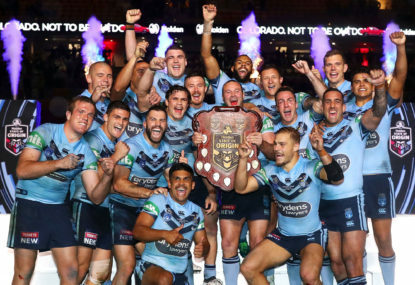 NRL season 2018 is finished and all the major media awards and club championships have been handed out. But that doesn’t mean there are no important prizes left to scoop – I proudly present the inaugural celebration of the NRL Crises awards! The column you were never meant to read: What if Melbourne won? 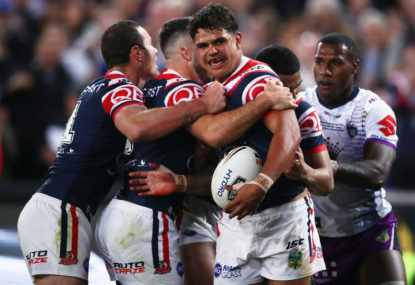 From the editors: On Sunday night, we asked AJ Mithen to prepare two columns – one for if the Sydney Roosters won the grand final, and one for the Melbourne Storm. Apologies for the spacing- no idea what’s happened there! Hi Spruce- City’s crowds are diabolical but they’re a manufactured team that have no roots in Melbourne. Melbourne Victory are around the 20k mark too. Sure they don’t fill AAMI Park, but on the other hand not one of those teams or their fans are calling for a return to the good old Olympic Park days. Sydney’s PT is a known problem, yet the old Parra stadium used to bring in consistently big crowds. What’s changed? 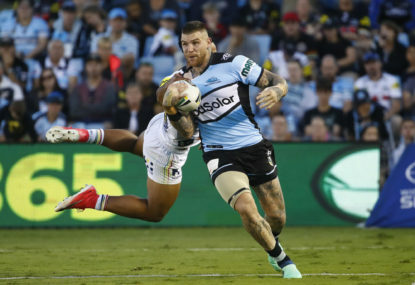 Not sure why, but I keep getting a feeling the Panthers will belt up the Sharkies tonight… but it’s not strong enough to make me change my tip. Fair enough. If memory serves, I think they’re about to build new stadiums in Ipswich for league and Aussie rules. Maybe that can work. 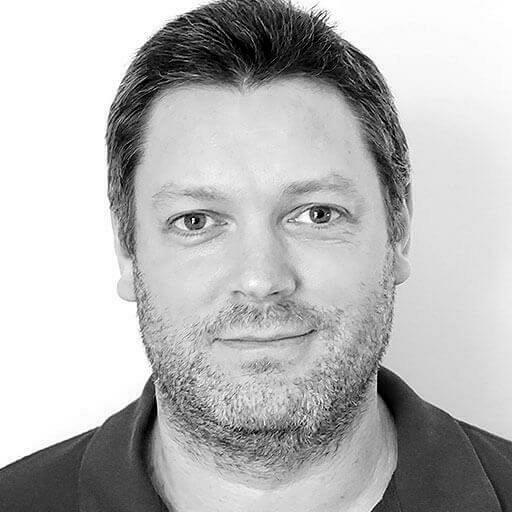 Thanks Paul – this is a great post and now that I’ve knocked off I can reply. First, it’s taken Wests Tigers a long time and a lot of back office blood and sweat to get to where they are. It can’t be overstated either how important more memberships are to a club’s bottom line. 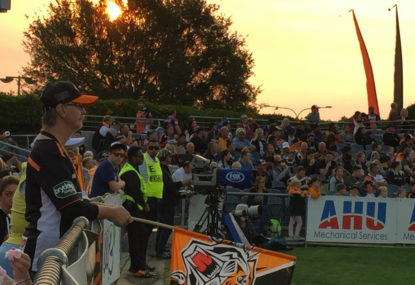 Saying that, the Tigers will probably end up playing out of one of the new stadiums with 1 or 2 games spread across Campbelltown and/or Leichardt. From what I can tell about the NRL’s stadium policy they still want to play a couple of games at the suburban venues. At a guess I’d say these would likely be your Dragons playing low drawing visiting sides like the Warriors and Titans. I agree with you about taking home games to other locations. It showcases the game and gets clubs some quick cash (though ticketed club members may see it differently). 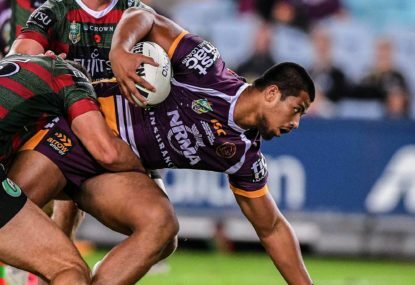 I think the NRL prefers to use Origin for big ticket ‘expansion’ exercises though. NRL games mostly seem to get taken to regional areas… and Adelaide. 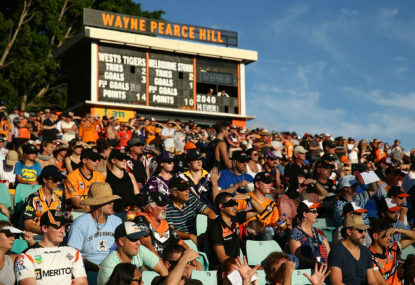 Finally – like it or not, as long as there’s one team in Brisbane, there’s no way the NRL will let the Broncos go without a home game. I’d love to see them play in PNG but that’ll never happen during a regular season. They’re the cash cow, crowd average bumper and tv ratings puller that covers for the shortcomings of a lot of other teams when it comes to the end of year reports. We may not like it, but that’s how it is. Thanks for the post Jim – if you checked the comments you’d have seen these issues have been acknowledged. There’s certainly no suggestion here that the ACT government aren’t giving the local teams any cash. And this isn’t a piece about a new stadium in Canberra. Believe me, I would have been happy to add another 1200 words to flesh out the stadium situation in the capital, but I’m not sure everyone else would have appreciated it. 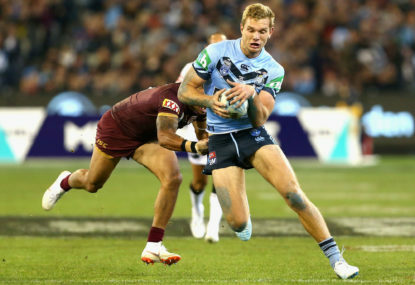 This is the weekly tipping article, Dutski! There’s no formalities here! Hi Your- average crowds are actually steady at the moment, up by half a percent to this point. But with the SFS out of action it wouldn’t be a surprise to have a lower average this year and maybe next. Ripper again Ryan. I miss the days when NRL360 was good. You seriously don’t believe that? Because they’re not, Stavros- 98.4% of those 16,236 college footballers miss out on the NFL! 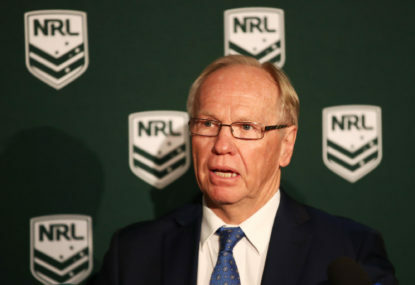 He does, Paul – thanks to the wonderful Rugby League Project website I came up with Manfred Moore in ’77, Al Kirkland who played with Parramatta in 1956, Vuna and Newton as the American born players. I think you’re on the wrong website Elvis! 100% Mushi. 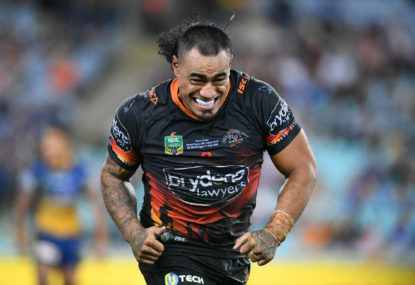 Average NRL career is 48 games, 2 full seasons pretty much. Players need to maximise what they can get when they can get it! Not if you see his comments about being unable to get in and out of his car Emcie. 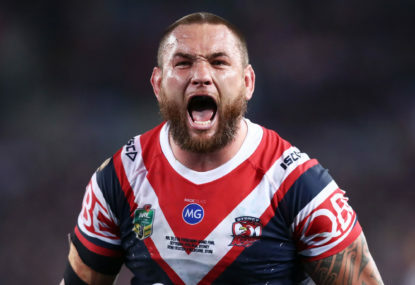 I believe there is a fund for players who retire for medical reasons and for support to players after life in the NRL Paul, but I couldn’t find any recent info online about it. Ross delayed his retirement announcement cos they had to tee up clearance and agreement on a final payout but I couldn’t find info about the policy.